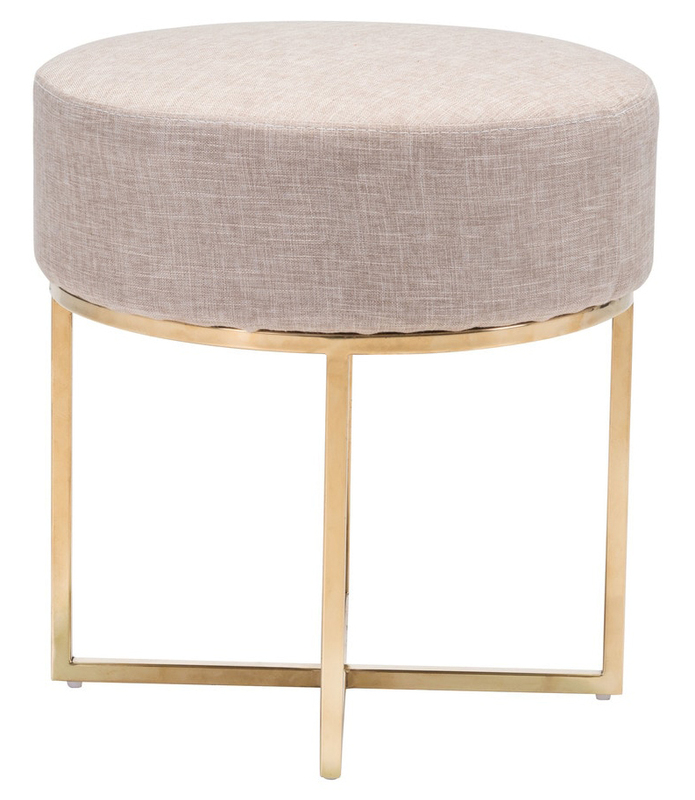 The Bon Stool Beige & Stainless features a deep foam padded seat that comes upholstered in a polyester linen fabric. 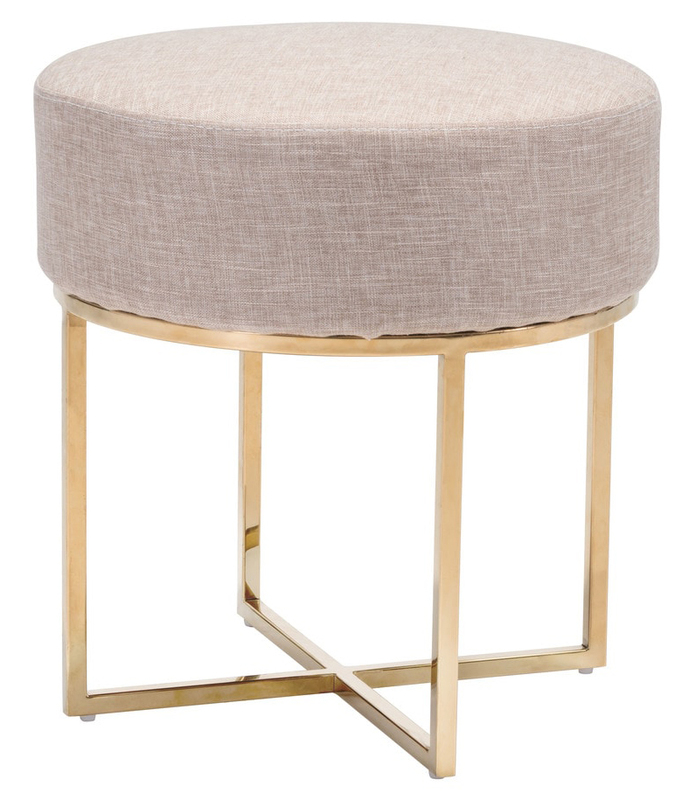 Bon’s comfortable seat rests on a glamorous and brilliant gold steel base with feet protectors are also added at the bottom of the base to prevent damaging floors. The Bon Stool can be used as a single stool or in groups to create a modern ottoman style design.